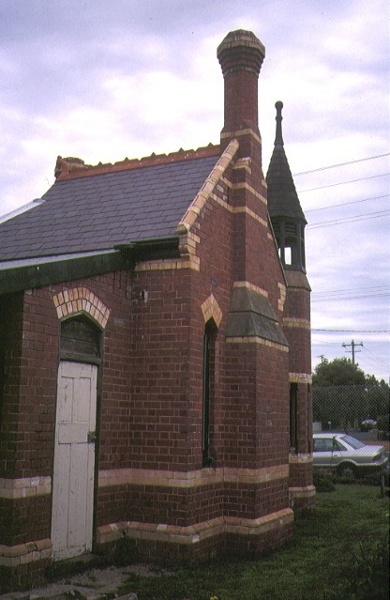 St Albans Homestead Gate Lodge was erected in 1890-91 for the then owner of the property, John Crozier. The small five roomed bi-chromatic brick building, with attached gates, was designed by architects, Henderson and Marryat. Its purpose was to control access to St Albans Homestead, once considered a leading stud in Australia. 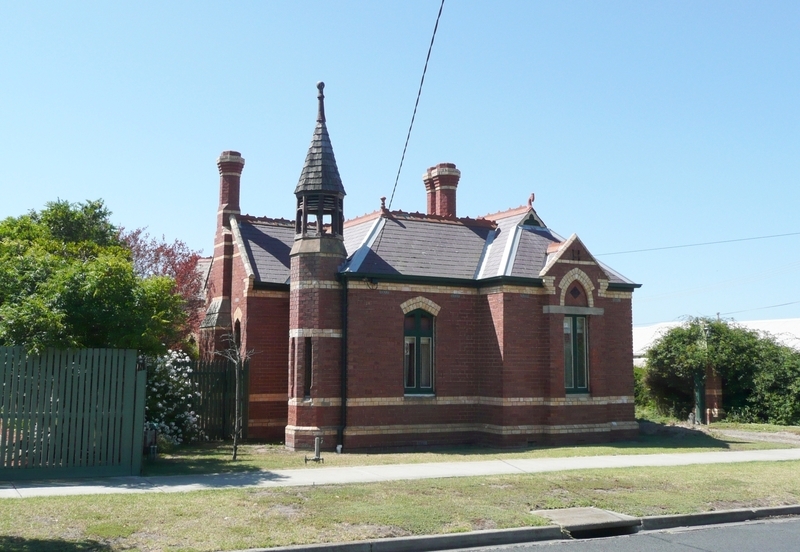 St Albans Homestead Gate Lodge is of architectural, historical and social significance to Victoria. St Albans Homestead Gate Lodge is architectural significance as an elaborate and relatively late example of the Modern Gothic style. The lodge is a representative example of a gatehouse built for a large country property. The building is important as an example of a structure employing picturesque elements incorporating the building into a designed landscape. St Albans Homestead Gate Lodge is of historical significance for its association with the main homestead complex which was one of the leading horse racing studs in Australia in the late 19th century. 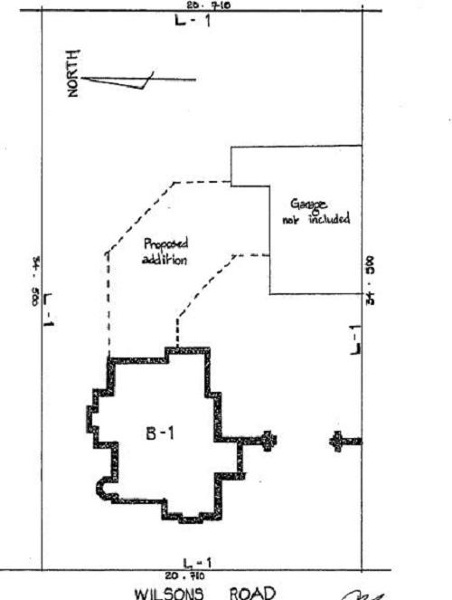 The Gate Lodge is socially significant because it demonstrates the former function of a gatekeeper, used to control access to the homestead property and signal the arrival of guests to the main house. At St Albans Homestead this was done by the ringing of the bell in the belfry tower, which was incorporated into the building itself. 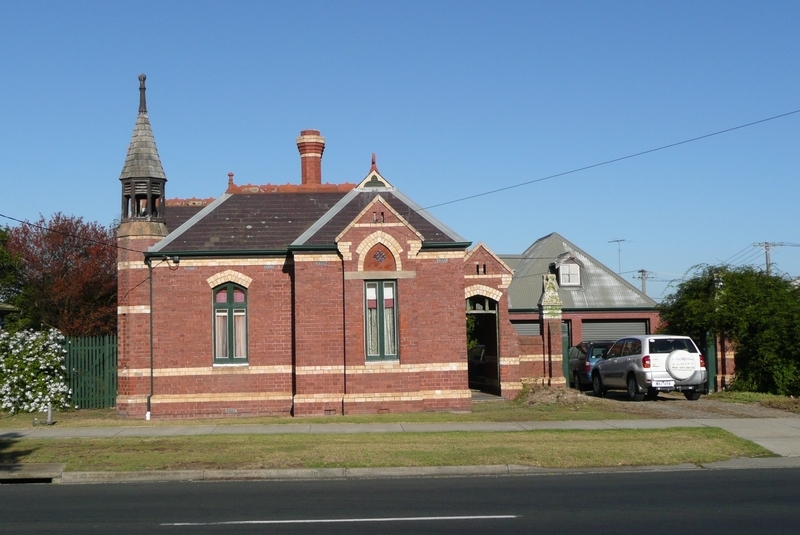 St Albans Homestead Gate Lodge, 305 Wilsons Road, Whittington, City of Greater Geelong. 1. All of the building known as St Albans Homestead Gate Lodge, Whittington including the gateposts marked B-1 on Plan 604605 endorsed by the Chairperson, Historic Buildings Council and held by the Director, Historic Buildings Council. 2. All of the land described in Certificate of Title Volume 9796 Folio 445 marked L-1 on Plan 604605 endorsed by the Chairperson, Historic Buildings Council and held by the Director, Historic Buildings Council.